This is a solid home,full rehab, good bones for investors to transform it to a dream home. Good established neighborhood. From I-95 N take us1,mlk king pkwy exit 354B, merge on mlk jr pkwy, turn left on N Myrtle ave, right on w 15th st, destination is 0.1 mile past witschen. 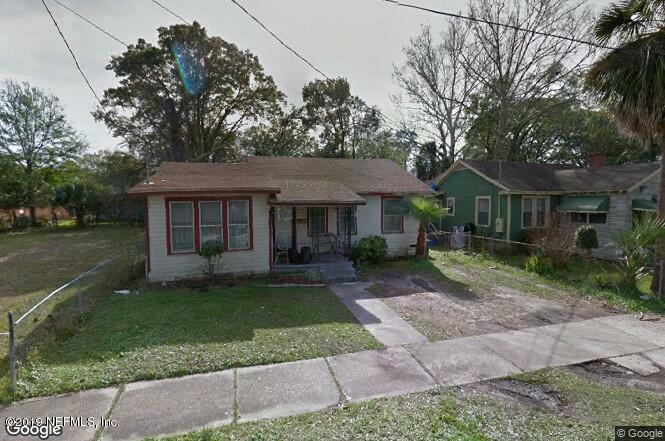 1554 15th St is a 1,260 (*estimated) square foot home with 3 bedrooms and 1 bathrooms located in Jacksonville FL, DUVAL County. This property is listed for sale at $39,999 and is currently active and accepting offers.